A new documentary feature on the Academy Award-winning animator Richard Wiliams, Persistence of Vision, has been selected at Annecy festival, France. 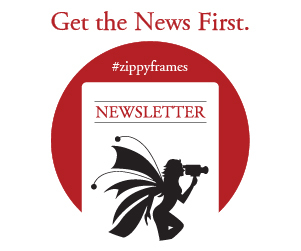 Its director, Kevin Schreck, talks to Zippy Frames. Alex Orrelle, animator at Pixar's The Incredibles and Finding Nemo, and animation director at Warner Bros' Yogi Bear, talks to Zippyframes.com about animation, during his presence at Be there! Corfu Animation Festival. One of the most important stop-motion animation artists, Barry Purves, talks to Zippy Frames.